Are your products Gluten-Free? That’s great – so is everyone else’s on the shelf. In early 2017, half of British Consumers were purchasing free-from foods in their weekly shop (Kantar, 2017), so it is no surprise that the free-from market has become increasingly lucrative, worth a predicted £561m by the end of 2017. There can be no supply without demand, so what inspired such a prolific rise for these popular free-from products? Initially a niche market, free-from food has flooded the shelves, it even has its own aisle for those dedicated to their diet. These products came as a call for better taste, greater versatility, and accessibility to everyday foods for those with intolerance’s and / or Coeliac disease. Now free-from products are not just for those who require them – they are a healthy lifestyle choice for the masses. 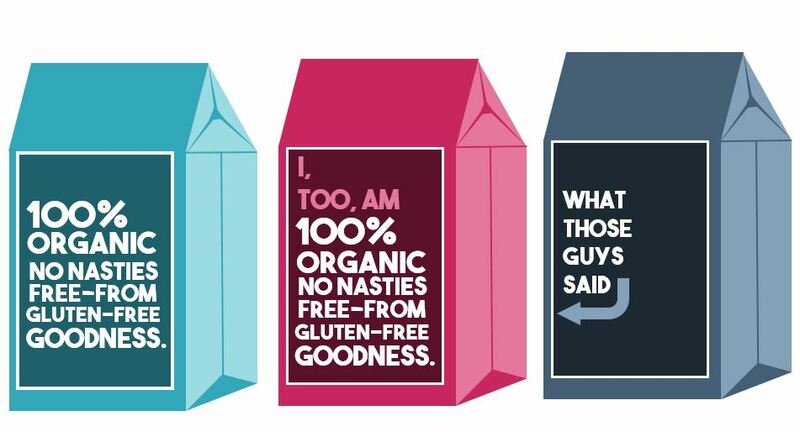 Food producers are catching on quick – they are latching on to lactose-free, extracting the additives, and getting rid of the gluten. Great news for health-conscious consumers, the aisles are now brimming with brilliant new free-from products. So how do you make your gluten-free product the best choice on the shelf? We can help with that. At PPP we have lots of customers whose unique selling point is that they are gluten-free & free from just about anything apart from local produce. How can we tell them apart? Their packaging. 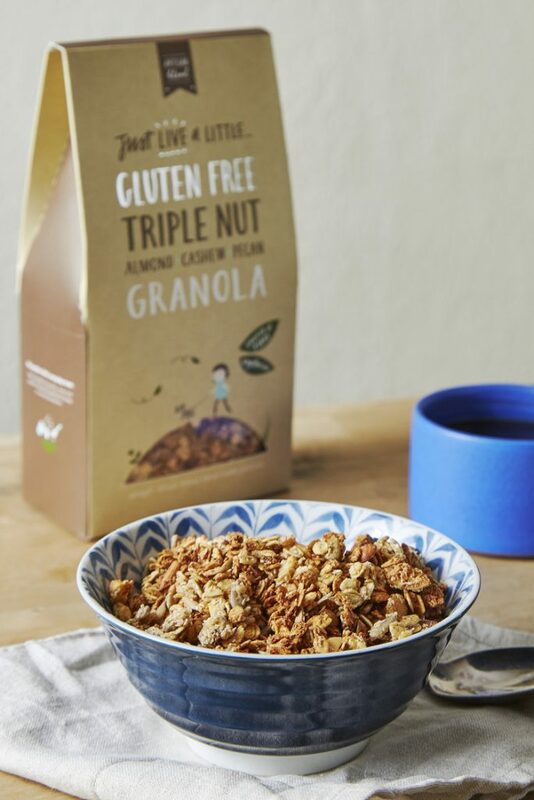 Let’s take a trip down the ever-growing granola aisle – a gluten-free Just Live a Little granola is different from a Foods of Athenry granola, and both are easily distinguishable from their packaging. Obvious to us – and even more obvious to the discerning consumer. The consumer can tell the difference – how a package feels when they pick it up to inspect it and how easy it is to open and close it. Unconsciously or very consciously, they take into account all of the finishing touches – foiling, window-patching and die-cut shapes. So to ensure the success of your product in the fierce free-from market, you’re going to need some pretty impressive packaging, and that’s where we come in.